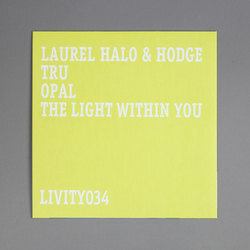 Laurel Halo / Hodge - Tru / Opal / The Light Within You. Vinyl EP. Bleep. 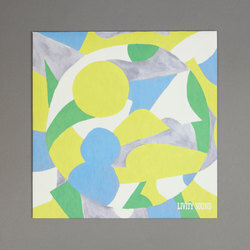 Next up on Livity Sound (Forest Drive West, Mosca) is a new collaborative effort from Laurel Halo and Hodge. This EP is the third time Hodge has been around the Livity Sound block but is a debut outing on Peverelist’s imprint for Halo. Both sound very much at home in the surroundings. Opener ‘Tru’ is a skittering club tune that has more than a little Berlin influence to it. 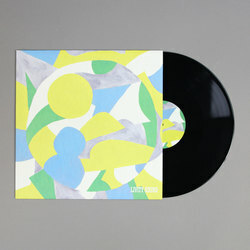 Following on from that we get the excellent ‘Opal’ - imagine Classical Curves-era Jam City reconfigured by Four Tet - before the EP closes out with ‘The Light Within You’, a dubby soundsystem techno delight that recalls fellow Livity Sound favourite Kowton.